They call it the Middle Kingdom. Right now, I wait for paperwork. It is the only thing holding me back. I expect that everything will be in order by the middle of August, Year of the Ox. Until then I dream. Though not in China yet, anticipation, planning, and great expectations are all just as important to me as the actual experience of being there. 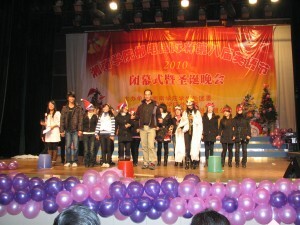 Right now, I think about the students I will teach at a university in Hunan province. The university says that I will teach literature. 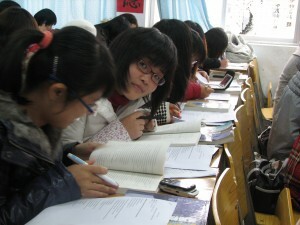 They welcome me create my own curriculum and to supplement their text book with from my own library. This is very exciting since teaching literature in a university setting will be a vastly different experience than that afforded to most ESL teachers in China—most of whom toil for private schools utilizing workbooks that focus on business rather than the humanities. My only hope is that this tragedy is within my skill to mend as I believe science, technology, business and law–all interesting and essential human endeavors–all these are meaningless without a solid foundation in the humanities. It seems that university English departments in China are more akin to interpreter training programs. “Don’t expect any lively debates,” emails one veteran ESL teacher of the university. All this said I don’t have any real teaching credentials. I want to be the best teacher I can be, but desire alone is not competence. I lack experience and credentials. Never mind that I was a Marine infantryman straight out of high school and had been in college since 1998, never mind that if you were to add up all the education, experience, globetrotting, and writing completed over that past decade then by a modest estimation I’d have a PhD in a subject worthy of cocktail conversations all over the globe—or at the very least—multiple bachelor degrees in English, biology, psychology, and creative writing. Some would say I’d have a PhD in BS. Others would say that I have more than enough to be a good teacher. I think that in order to be a good teacher you have to be a good student. But I feel that even my track record as good student is not enough. So I watch The Dead Poets Society over and over to fix this deficit. Teaching is a performance. The classroom is a stage. From the day of our first meeting, I will wear the mask of Mr. Keating, and the boldest may call me, “O Captain! My Captain!” We will read Mary Shelley, Jane Austen, Edgar Allan Poe, Bram Stoker, and Stephen King. Each story or poem becoming a launch pad to understanding our different cultures. And if I am lucky, the international incident most likely to occur during my stay in China will result from making a crucifix with my chopsticks to ward off seductive ch’i sucking fox spirits rather than anything related to teaching gothic literature. And my dreams continue to unfurl. Right now, I plan my travels. The City of Chenzhou in Hunan province will be my base of operations. From there I will go to that ancient city of Guilin along the river Li—that emerald city from which ancient karst peaks sprout from steaming jungles like the fossilized remains of dragon teeth. Perhaps there an old peasant wearing a straw hat would see that I was lost, and invite me to a modest meal of brown rice and fish heads. We would laugh at each our attempts to express gratitude. And the next day I would move onwards to Kunming, City of Eternal Spring, the capital of Yunnan province where I would visit mute pagodas in the shadows of the Himalayas. Perhaps there a holy beggar child in rags singing Celine Dion songs to passersby for pennies would sense that not all those who wander are lost, and point the way to a panda’s bamboo grove. And from there I will journey to Chengdu in Sichuan province, a capital during the Three Kingdoms era, a region famous for its blazing cuisine and its position as the far eastern book end of the many-storied Silk Road. Perhaps there I would sip espresso amongst literary expats, reactionary poets, dissident globalists exchanging critiques, manifestos, and chapbooks at the fabled Bookworm—one part espresso & wine bar, one part labyrinthine library, one part organic grocery, and the one last embassy of the Bohemian nation—this bastion of the new lost generation called forth by the zeitgeist promises to be a moveable feast in our time. And from there I would take the train through the snowy rooftop of the world to Lhasa, spin some prayer wheels, buy souvenir Tibetan prayer flags and wind up feeling guilty that I had to go through a Han Chinese touring agency to get here. Perhaps I would find expiation at the feet of the Mother Goddess of the World. So it remains to be seen how these best-laid plans go awry. Life ain’t all beans and ketchup. Whatever happens, it will be better than spending another year waiting to get into graduate school or watching in horror as dreams turn into dust. The Great Wall, Beijing, Shanghai are not in the vocabulary of my dreams. They are images best left seen in glossy magazine pages. The real China beckons. Its renowned icons–the terra cotta warriors, the Forbidden City, the science fiction cityscape of Shanghai–are not on my agenda. It is enough to know they exist. Some things really are better left to the imagination–lest the mystique be dissolved by reality, and not get caught up in the swarming hordes of camera toting tourists intent on a documenting every moment mindlessly reciting the tourist mantra: “If it’s not documented, it doesn’t exist. Om shanti, om.” That is not to say that if opportunity presents itself than I will fight tooth and nail against the current. Instead, I dream of living and working the real China. As opposed to say a Chinese version of a western concrete island like Los Angeles, Silicon Valley, or Northern Virginia. This means being in the heartland—away from the westernized cities of the east coast. Not that westernization is bad, but hell, the way I figure it, if I’m going to take all this trouble to be in China then I want the most authentic experience I can get. All I know is that the real China is still unknown; an undiscovered country–the fabled realm where all the good jobs went—a mysterious, once sequestered region of the world where westerners are referred to as waigouren, laowei, or my favorite, yangguizi. Each of which is a Mandarin variation of the word “foreigner” in descending in order of politeness. The last term actually meaning “foreign ghost” or “foreign devil” depending on the translation. All I know is that the real China is a mysterious place where Mao still reigns supreme as chief deity despite millennial remnants of a feudal system, a half century of communism, and capitalism welcomed at her gates. All I know is that the real China is a mysterious place where rice farmers carry cell phones, enterprising communists invest in stocks, and college students spend their first semester training as soldiers. All I know is that the real China is a mysterious place where an American patriot can live, find a good job, and gain a better appreciation for his homeland.